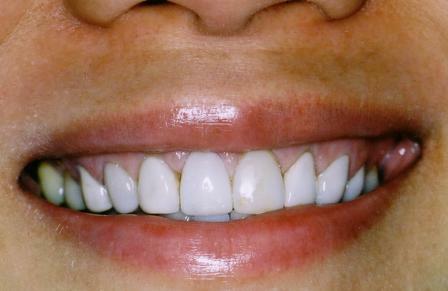 This 30-year-old patient is not happy with her smile. Observe the dull looking porcelain veneers she currently has. 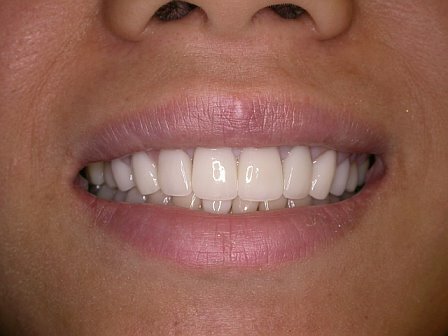 Post-op photo: Eight porcelain veneers were constructed. Note the marked improvement in esthetics and the excellent gingival response.